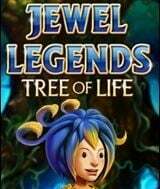 Download Jewel Legends - Tree of Life for free at FreeRide Games! The Hods, magical beings and pure of heart, once lived in harmony with the holy Tree of Life. In its fold, time had no meaning. But peace was an illusion. The endless greed of a dark demon forced the Hods into hiding. Now, eons later, the demon finally defeated, new hope springs eternal. Rebuild the world of the Hods and restore the Tree of Life to its old strength. Using building materials, jewels and other valuables, switch two adjacent tiles to make a row of three or more matching tiles! 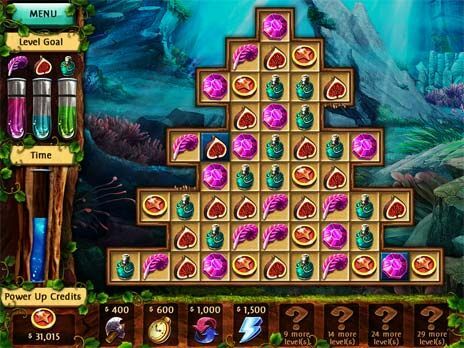 The valuables will help you to build marvelous structures for the Hods, such as Bath House Blubberpot, the Mushroom Farm and the Fountain of Wonder. You can also check out bonus game modes and collect trophies.